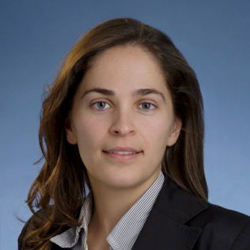 Catherine Coolens is an Associate Professor at the University of Toronto, Department of Radiation Oncology and a Staff Medical Physicist in the Radiation Medicine Program at Princess Margaret Cancer Centre – University Health Network. She received her PhD in Medical Radiation Physics under Steve Webb at the Institute of Cancer Research, University of London working on Intensity-Modulated Radiation Therapy optimization. She consequently obtained her board-certification and worked as a clinical physicist at the Royal Marsden Hospital in London (UK) where she worked on organ-motion tracking and gated imaging and therapy techniques prior to moving to Toronto in 2008. At Princess Margaret Hospital she has worked on the implementation and characterization of a novel 320-slice CT scanner for simulation and functional imaging in radiation oncology and her current research interests include the development of 4D perfusion methodology for imaging of tumour micro-vascularity and radiation response, phantom development for validation of contrast-enhanced CT and MR imaging as well as biological modelling of tumour hypoxia and normal tissue response.